funny host club. 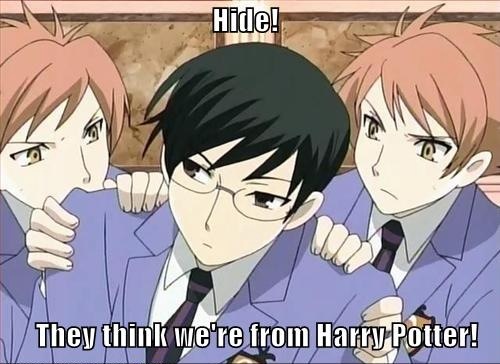 #hikaru #kaoru #hikaru and kaoru #ouran high school host club #ouran #harry potter. Wallpaper and background images in the عملی حکمت club tagged: anime wallpaper. Lol the twins are Fred and George but who's Kyoya snape?